The Great Lakes whaleback fleet was the revolutionary result of Capt. Alexander McDougall's attempts to improve conventional ship design. 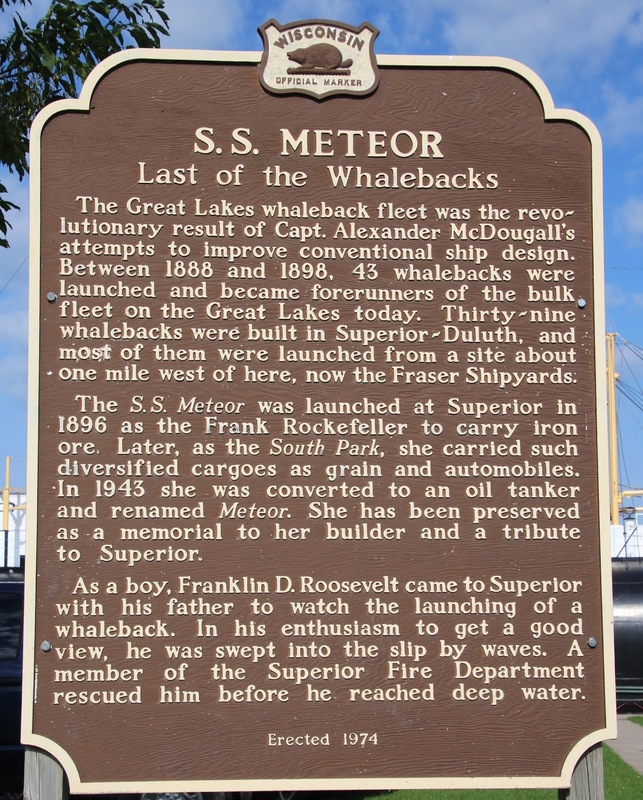 Between 1888 and 1898, 43 whalebacks were launched and became forerunners of the bulk fleet on the Great Lakes today. 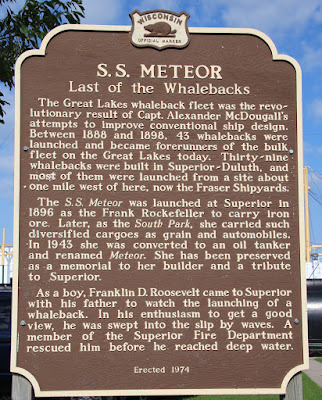 Thirty-nine whalebacks were built in Superior-Duluth, and most of them were launched from a site about one mile west of here, now the Fraser Shipyards. The S.S. Meteor was launched at Superior in 1896 as the Frank Rockefeller to carry iron ore. Later, as the South Park, she carried such diversified cargoes as grain and automobiles. In 1943 she was coverted to an oil tanker and renamed Meteor. She has been preserved as a memorial to her builder and a tribute to Superior. As a boy, Franklin D. Roosevelt came to Superior with his father to watch the launching of a whaleback. In his enthusiasm to get a good view, he was swept into the slip by waves. A member of the Superior Fire Department rescued him before he reached deep water. 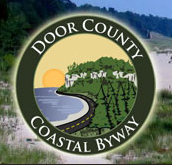 The marker is located on Barker Island in the parking lot of the S. S. Meteor Maritime Museum, 300 Marine Drive, Superior, Wisconsin 54880. Follow the signs on East 2nd Street / U.S. 53 to Barker Island. The S.S. Meteor is huge, gigantic, colossol, and is clearly visible from East 2nd Street / U.S. 53 even before you reach the Barker Island exit. See also, Seamen of the Great Lakes, also at this location. With the Seamen of the Great Lakes memorial. View (above and below) from across the Superior Front Channel. The marker is adjacent to the parking lot. The whaleback and marker are located on Barker's Island. 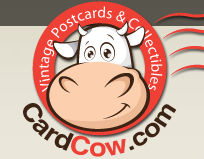 I do believe that the creator of the Whalebacks, was Alexander McDougall, a Scottish Immigrant, born in 1845, and ship captain on the Great Lakes.